Meetings are at 7:15 pm for 7:30 pm at Samlesbury War Memorial Hall unless otherwise stated. From the M6 exit at junction 31, take the A 59 for Clitheroe. After about 1 mile, move into right hand lane of dual carriageway. At first roundabout (by the Salmesbury Hotel, formerly called the Swallow Hotel - a white building on the left - and a filling station on the other side) double back onto A59 and immediately take left turn just past filling station onto B6230 Walton-le-Dale (Cuerdale Lane). The venue is the first building on the right. 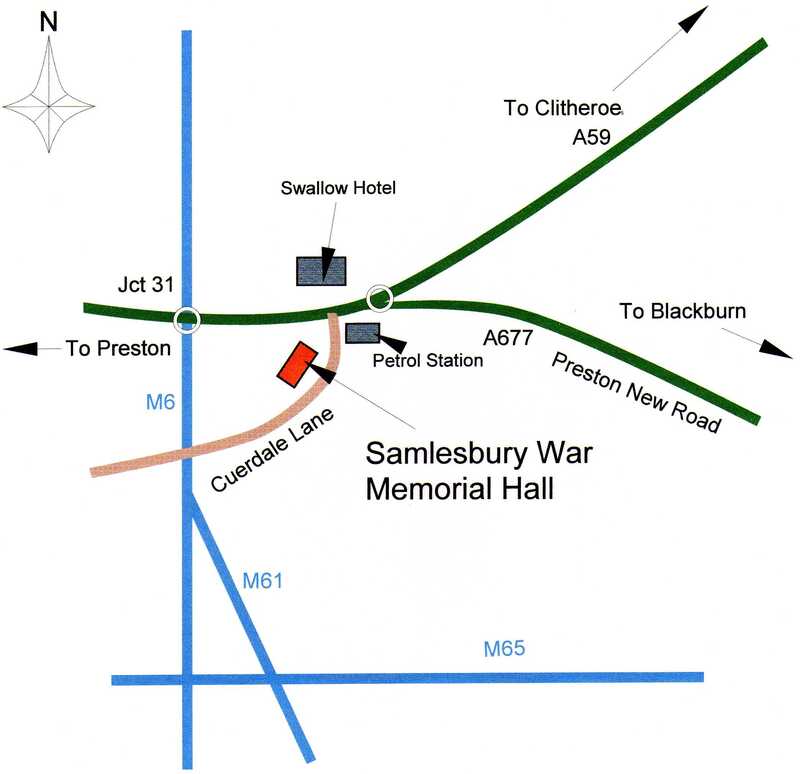 Note: not to be confused with Samlesbury Hall, which is further along the A677. Sunday 5 May 2019 Coach trip to Ashwood nurseries with guided tour of John Massey's garden, 9am start from Samlesbury WMH. Bookings va Delphine.